Appeal to find lost camera. 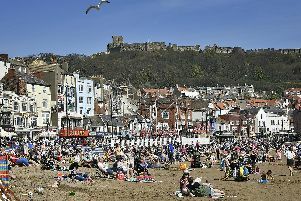 On a recent visit to Scarborough we lost our camera which had our holiday pictures and grandchildren on it. On June 11 we set out from Knipe Point to walk into Scarborough along the coastal path to the Spa and beach front. We walked along to the harbour amusements. We did stop for coffee at a seafront cafe of which I cannot remember the name. We then proceeded back again to Knipe Point. At which somewhere along our journey I lost the camera. The camera is a Nikon Cool Pics which we had only recently purchased with my retirement present of a voucher. So you see not only does the camera have our pictures on it it is special to me as it was a retirement present. If any of your readers have found it we would be extremely grateful for its return and offer a reward. I can be contacted on 0114 2845077. Many thanks for your co-operation.